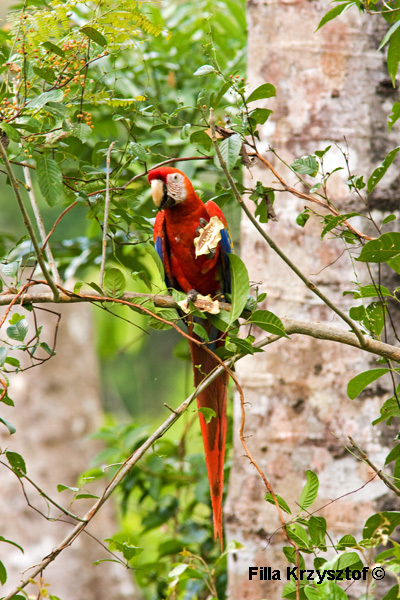 The scarlet macaw (Ara macao) is a bird abundant in the Amazon Basin and with some places in Central America. In Costa Rica they live only in Carara N.P. and on Osa peninsula. They eat mostly fruits, nuts and seeds, including large, hard seeds.